The marriage ceremony in the church is a worship service. 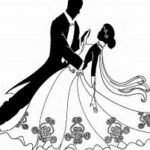 In order that you may have a sacred and dignified wedding ceremony, you are urged to make thorough preparations, spiritual as well as temporal. The minister and staff at St. Luke UMC wish to extend every possible assistance to you so that your wedding will be a memorable experience. Arrangements should be made with the minister as soon as possible. Tentative reservation of date and facilities to be used may be made through the church office and will be confirmed during a personal interview with the minister. Weddings to be scheduled on or around church holidays are solely at the discretion of the pastor. A minister from another church is welcome to assist in, or perform, the wedding ceremony. If it is desired that another minister be involved in the ceremony, the St. Luke minister must extend the invitation. The rehearsal is an integral part of the wedding preparation and should proceed in a reverent manner. 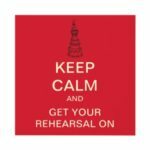 The following suggestions will help guide you as you prepare for your rehearsal. 1. The minister will be in charge, but a wedding consultant may be present. 2. All members of the wedding party should be present. 3. Please deliver the marriage license to the minister at the rehearsal. 4. Before you arrive for the rehearsal, please be sure all the paperwork you were asked to complete has been returned to the minister or church office. The church cannot accept delivery of dresses or tuxes and will not be responsible for personal items brought to the church. It is suggested that a relative or friend of the family be assigned responsibility for these valuables during the ceremony and reception. Dressing rooms will be provided for the bride, groom, and their attendants. 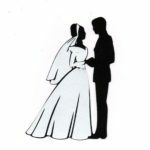 All arrangements should be made and all persons present and ready at least 40 minutes before the ceremony is to begin. Decorations, while acceptable for enriching the setting for the wedding service, are not a necessity. The bride and groom will be furnished a copy of instructions for the florist and photographer at the time the wedding date is confirmed. 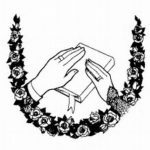 It is their responsibility to review these instructions with both the florist and photographer and provide them with a copy so there will be no misunderstanding concerning the policies of St. Luke. The altar flowers will remain on the altar for the Sunday service. If a minister who is not from St. Luke is presiding over the wedding and Holy Communion will be served, the minister must bring his/her own chalice and paten, as well as bread and grape juice. No wine may be served. The throwing of rice is prohibited; however, the use of wild birdseed is permitted. Absolutely no smoking or alcohol is permitted anywhere on the church grounds, including in the parking lot across the street from the church. Rose petals may be strewn in the aisle of the sanctuary if approved in advance. A cloth runner must be laid down the aisle where the rose petals will be strewn. Please keep rose petals confined to the sanctuary only. The altar candles may be used if approved in advance. Photographs of the ceremony may be made from the back of the sanctuary or balcony in existing lighting; flash lighting is not allowed. A video recording of the ceremony may be made from the balcony with existing light if previously arranged with the minister. The bride and groom are responsible for their own music. The church can provide a list of organists and pianists. Receptions may be held in the parish hall of the church by arrangement with the church office. The bride will supply her own table linens, dishes, silverware, decorations, etc. No alcohol is to be served or is allowed on church property, inside or outside. Any violation will result in the forfeit of entire deposit. The church office hours are 9:00 a.m. – 4:30 p.m. Tuesdays, Wednesdays, and Thursdays. If you require access to the building at times other than regular church hours, please make arrangements with the church office. There will be a charge of $50 for opening the church at other times. After the first 30 minutes, there will also be a $50 charge per hour or for any part of an hour. A $300 deposit is required. The deposit will be refunded within approximately two weeks after the wedding if no other costs have been incurred. A check for the appropriate fees should be made out to St. Luke. The facilities will be reserved upon receipt of full payment (no less than $600 for non-members). The church will be opened 30 minutes before the rehearsal. Another 90 minutes is reserved for the rehearsal. The church is opened two hours before the wedding ceremony. Another two hours is reserved for the ceremony and post-ceremony activities, such as wardrobe changes and photography. If the reception will be at the Church, the wedding must start no later than 4:00. Two hours are allowed for the reception. Using the above example, the church would close at 8:00. Delays past these allotted times will be charged at $50 per hour or for any part of an hour.